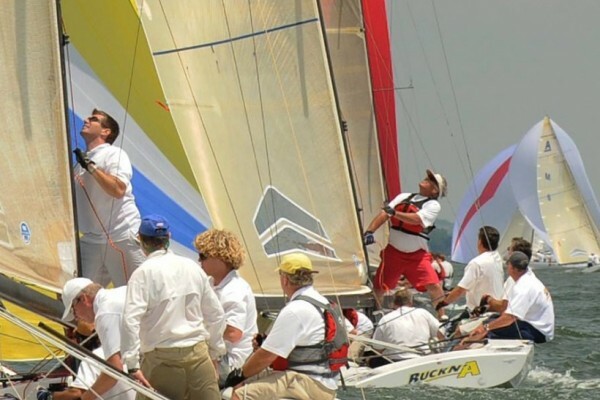 The National Class A Scow Association celebrated its 15th anniversary last year on the big waters of Lake Winnebago and we will be back again for the ILYA Champs in August! 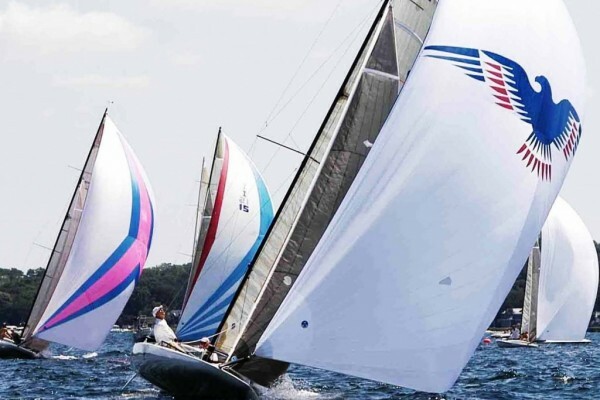 The lake that A Scows were originally designed never fails to exhilarate the competitors. But first, we are headed to Lake Mendota for the National Championship in June. Check out the NOR and our event page for more details on the 2019 National Championship. 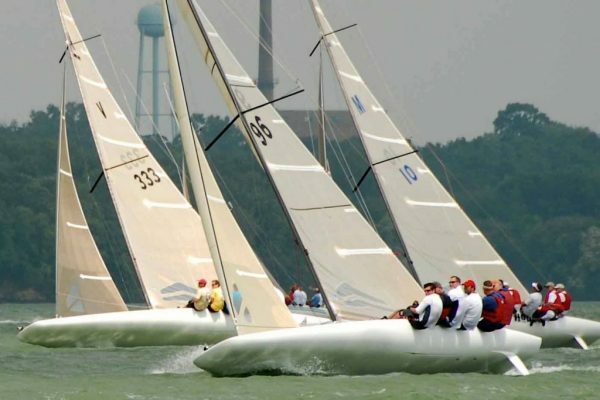 The 38 foot (11.58 meter) Class A Scow is the largest, fastest, and most powerful inland scow sailboat. Originally designed in the late 1800’s by John O. Johnson of Johnson Boat Works (White Bear Lake, MN) the boat retains the same shape and size as the original boats. With the move to fiberglass and carbon construction, the addition of a bow sprit and a massive asymmetrical spinnaker, combined with a carbon fiber swept-spreader rig, the class is stronger than ever. 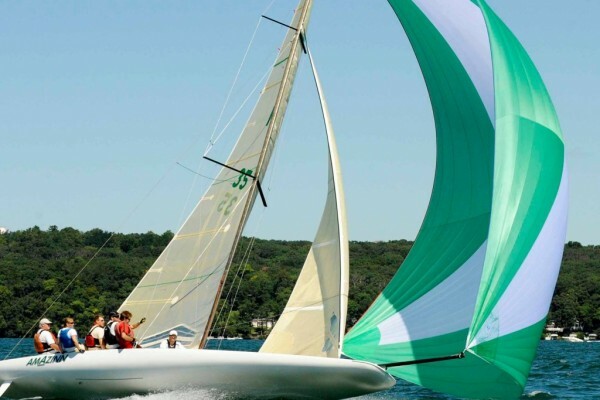 Today’s A Scow, produced by Melges Performance Sailboats of Zenda, WI, has all the modern, sophisticated rigging and gear (from the good folks at Harken) needed to make this unbelievable boat simply rock on the water. 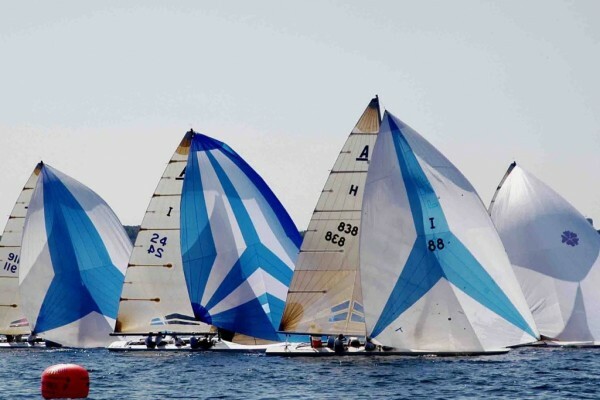 Powered by North Sails, able to pull water-skiers, and having been clocked at over 25 mph in a good blow, the A Scow is a worthy challenge for even the most experienced sailors. Unlike keelboats of this size, the A Scow uses only dual bilge boards for stability and thus requires a crew of 6 or 7 people to keep her upright in heavy air. 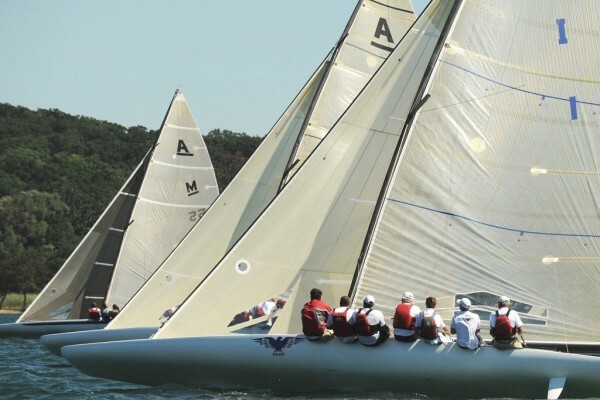 We hope you will explore our website and see what makes the A Scow so much fun!